I know it's a bit early for Christmas music, but I couldn't help putting on "Jars of Clay Christmas Songs" - loving it! 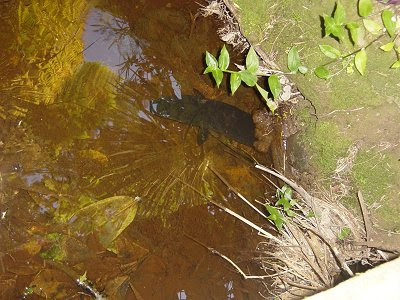 Although some people freak out when they come to visit, I do love the giant eels living in our creek. They enjoy our meat scraps and bits of left overs. This little eel was a bit camera shy. 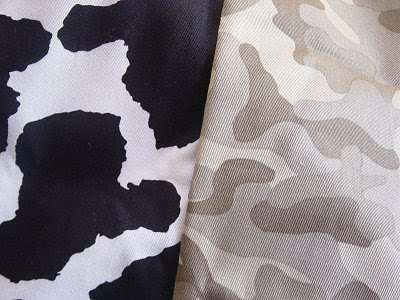 This cow and camo fabric I love.... hmmmmmmm, what to make? 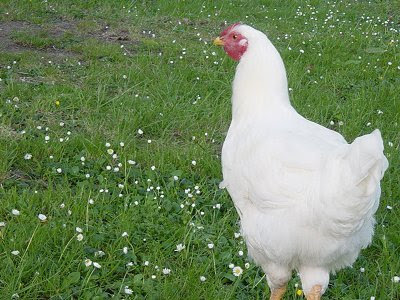 I do love Symon's pet chicken 'Taloola'. She was meant to be a black Orpington... so we are not quite sure what happened there. She is definatley not black, and she is giant! She is already towering over the other hens and is still quite young. Maybe we should rename her 'Big Bird'. I am loving the weather... the sun shining and the shade under the trees. Great for picnics with the kids. Hi Kristy, I love your spirit! You appreciate things that other people normally will take for granted. oh but I do think you should do a list of things you arn't loving too.....could be quite funny and I don't think it's all that bad to not love smelly mice! Camo fabric - man bag??? 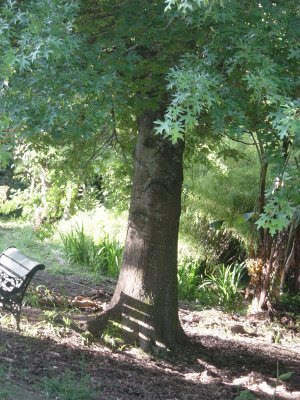 That tree has a face on it - does anyone else see that? I love it! Now that you mention it... I do see the face... crazy!